The Singapore economy is going through a tough time, especially in the labour market. Going forward, many finance students and workers in the industry will find it increasingly difficult as the banking industry has been one of the hardest hit in terms of job cuts. Graduates will struggle to enter the industry and to hold down good jobs as more people vie for a diminishing pool of good available positions. To give you some perspective on how extensive the job cut has been over the past year, ANZ Banking has cut close to 300 staff in Singapore from one year ago; Barclays may make redundant over 100 jobs in Singapore; Standard Chartered, with just under 10 per cent of its roughly 86,000 strong workforce in Singapore, will cut up to 15,000 jobs globally; HSBC hopes to streamline its operations by cutting close to 14 per cent of its S$52 billion operational costs. The Royal Bank of Scotland, Credit Suisse, Deutsche Bank AG, Goldman Sachs, ING and many other banks have also make plans to reduce headcount both globally and in Singapore. 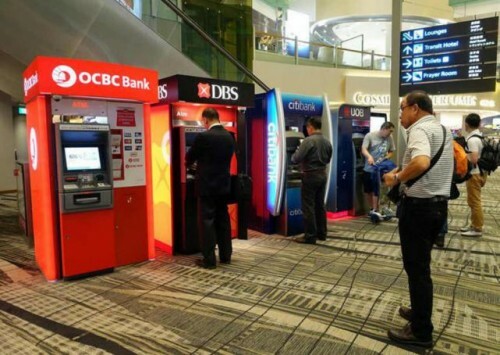 Even the local banks, which have not announced plans to cut jobs yet, are starting to feel the heat as DBS states its intention to slow down its wage growth and hiring policies in the coming year. While many people think that this spate of retrenchments and job cuts is due to the global economic slowdown, the reverse may not be true when the global economy swings back into good growth again. These jobs that have gone from Singapore are unlikely to ever return, and we detail three reasons why that is the case below. Singapore was once a cheaper destination with an up and coming and educated local workforce. Now, it is an extremely expensive place to do business. Low level jobs, especially in the middle and back offices of the banking sector, can be farmed out to cheaper destinations to reduce organisational costs for global banks. Certain non-client facing jobs are at the highest risk of being shipped out of expensive Singapore to cheaper locations such as India and Philippines in Asia and Poland and Hungary in Europe. These include those in IT, settlements and product control. Even when the global economy turns around, these jobs, which have already been moved to cheaper locations will not be coming back. There were significant costs already incurred setting up these offices in less expensive territories and these offices are running smoothly - there is no reason for banks to move these jobs back to an expensive city. There are two main reasons for jobs becoming redundant in the banking sector. They are either obsolete as less and less people require their services, or they are taken over by automation. In recent times, trade and deal-making has been drying up in Singapore. This has affected investment banking jobs as well as those in the equities sector. As other markets such as emerging markets and Hong Kong and China provide for better deal making opportunities, companies will flock to those destinations to list and to do business. In Singapore, people in lucrative investment banking roles both for public and private deal making as well as those research roles will be affected. Additionally, brokers and remisiers as well as people in its related services at banks will also be affected. According to a Citi Group report, approximately 30 per cent of banking jobs may be threatened by automation. Digital disruption from internal methods and fintech companies has impacted traditional banking operations. These include installing more advanced automatic teller machines (ATMs) with the ability to handle more complex transactions has replaced bank tellers to some extent. In fact, the ATM itself may be made redundant soon with the prevalence of online and mobile banking to complete payment services, complex transactions and money management functions. And robo-advisors are increasingly replacing salespeople and financial consultants. The rise of digital currency is also having an impact on people's reliance on just the banking system. As a bank or financial institution, it is still critical to offer high levels of customer service via digital platforms to continue engaging customers and keeping a relationship with them. This is what will differentiate banks and financial institutions in an increasingly global market. In other instances, banks are selling their entire division or completely exiting the Singapore market. This means they are unlikely to start a new arm from scratch or re-enter the country anytime in the near future. While many of the jobs in divisions that are sold will be retained, affected employees must be mindful that they will be integrated into another bank's existing division, and that there will be scope to streamline operations. Banks such as BSI SA and Falcon Bank have closed in Singapore due to their involvement with the 1MDB saga. They are not likely to come back to Singapore any time soon. They are not the only ones though. ANZ recently sold their wealth management and retail business in Asia to DBS in 2015. Barclays Private Bank sold its Singapore and Hong Kong business to Bank of Singapore. In total, eight private banks have exited Singapore since 2014. Banks have also completed phased out or closed entire operations in Singapore, this includes Standard Chartered closing its equity derivatives and convertible bonds businesses. No matter what you do, you need to ensure that you are a valuable member of your team focused on creating value. If you are able to do that, you will have a job even if your employer becomes redundant or exits the market. In the sales department, there is always space. No matter what, banks will always be keen to hire people who wants to take on the challenge of accepting a low basic wage and fight for commissions. The higher the commissions they earn, the more the banks make. If you don't want to take the first sales job you're offered when you hit tough times, you should look instead at building your employability and abilities. Some ways to achieve this include paying close attention to your business and to gain a wholesome understanding of it. Even if you are in the middle or back office, you need to understand the commercial decisions made by the front office employees. Another way is to build meaningful relationships with people in the office and in the industry. This means a little less email, and a little more phone calls and face-to-face time. It may eat into more work time, but you're building a career, not completing a job in the grander scheme of things. You should also try on more roles in the office, volunteer for some front office roles - this way, you'll expand your network and gain crucial understanding of other roles. Try to fix rather than create problems at the office. It's easy to be a roadblock - but to be a go-to person, you have to be a problem fixer, and everyone loves a problem fixer. These are just some simple ways to differentiate yourself at the workplace. Fintech is another area where Singapore stands to benefit. Just as we benefited from being an up-and-coming and educated country in the 1980s for banks to move their operations to, we now have an advanced and technologically savvy workforce able to fulfil the demands of fintech companies. The Singapore government is also supporting this initiative and with the country's small and savvy population, it remains a great place for fintech companies to test their products. At the end of the day, there are always ways to be employable. You just have to keep up and keep improving.